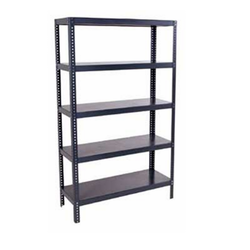 Pioneers in the industry, we offer bookshelves, slotted angle rack, steel rack, open rack, rack and book rack from India. 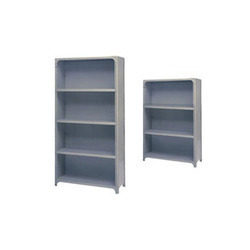 We are leading manufacturer and supplier of Bookshelves. It is manufactured using quality raw materials and latest technology. Furthermore, these products are checked on various quality parameters to ensure its defect-free nature. We are the leading organization engaged in manufacturing, wholesaling, trading, retailing and supplying a broad assortment of Slloted Angle Rack. Offered angle racks are manufactured utilizing quality material & modern techniques in adherence with the set standard of quality. The offered angle racks are made available in various specifications to choose from. Our esteemed clients can avail these angle racks from us at market leading rates. Owing to our perfection in this industry we are engaged the manufacturing, wholesaling, trading, retailing and supplying the best quality Steel Rack. Offered steel rack is manufactured from the high grade material and latest techniques. 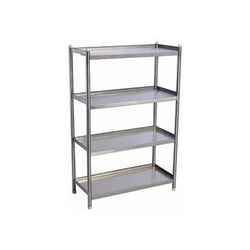 Our provided steel rack is accessible in varied specifications so as to meet the needs of customers. This steel rack is tested on well defined parameter by our experts for dispatching a flawless range. We are an accredited manufacturer, supplier, wholesaler, trader & retailer of high-quality Open Rack. 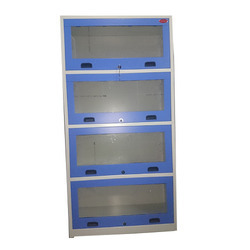 This open rack is manufactured by our professionals utilizing the best quality material in accordance with the set norms. 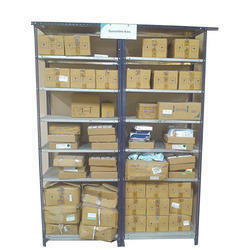 The offered open rack is open and spacious racks provide easy airflow and convenient access to install the equipment. 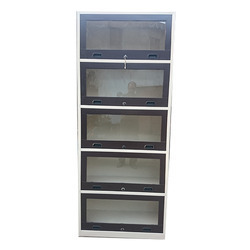 Also, our customers can avail this open rack from us at an affordable price.